The various world wars humans have had to endure have been thrown into numerous video game titles for quite some time. You’ve seen the popular Call of Duty franchise as well as the Battlefield series craft numerous world war based titles for the last few decades. However, many people don’t remember one of our favorite franchises called Medal of Honor. This first person shooter series first debuted in 1999 and has since released quite a few entries that are quite enjoyable. That’s why we here at Honey’s Anime knew we needed to show some love to the Medal of Honor series in some form. Thus today we’re looking at 6 Games Like Medal of Honor. Now while Medal of Honor may have made some quality FPS titles—the first three games were helmed by Steven Spielberg as the director—the FPS genre isn’t new to world war themes. It would be safe to assume that there are hundreds of World War II games from the classic systems all the way to newer age of consoles. That’s why making this list took us into our own wars internally to debate what could be considered a game similar to Medal of Honor? With our list we finally decided on finding excellent FPS titles, great World War II themed games and an overall strong gameplay element as a whole. If your curiosity is now raging to find out what made our list all you have to do is continue reading our article starting now. Once more we step into the shoes of the 101st Airborne Division—502nd Parachute Infantry Regiment) in Brothers in Arms: Hell’s Highway. Staff Sergeant Matt Baker—a returning character from the previous titles—once more faces a new threat in the form of Operation Market Garden. With enemies breathing down their neck and an operation that will push them into enemy territory, Staff Sergeant Matt Baker will have to lead his men or have them fail and thus fail the war. War is about to get even more real in Brothers in Arms: Hell’s Highway. Medal of Honor and Brothers in Arms have more in common than just the setting being WWII. 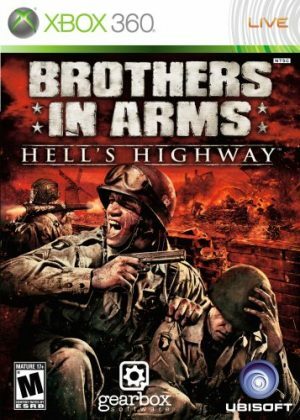 Brothers in Arms: Hell’s Highway truly was the way we needed to start our list because of how many elements can be found in the Medal of Honor franchise. Not only are these games very realistic—players will actually need to use hand signals and use certain troops for various situations—but both Medal of Honor and Brothers in Arms: Hell’s Highway play incredibly well. 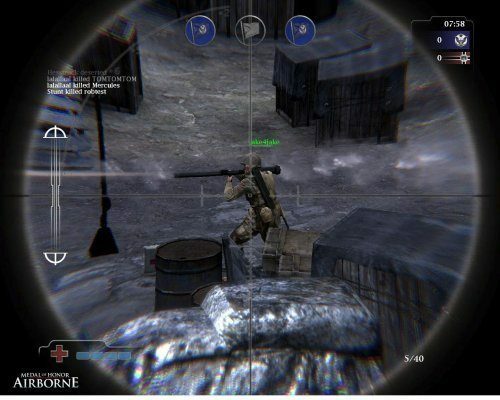 Players will need to think like a commander and lead their troop in smart ways or face a nice game over screen as all of their soldiers die on the field. Even though Brothers in Arms: Hell’s Highway may be now 7 years old, we still think this game holds up incredibly well and why we here at Honey’s Anime still play it from time to time. Get ready to experience The Great War of 1918 in Battlefield 1. Following several different soldiers as they fought in various battles, players will see the war through the eyes of pilots, tank operators and soldiers alike. If what you seek is Battlefield’s excellent multiplayer experience than you’ll thoroughly enjoy the newest multiplayer set up from EA DICE. 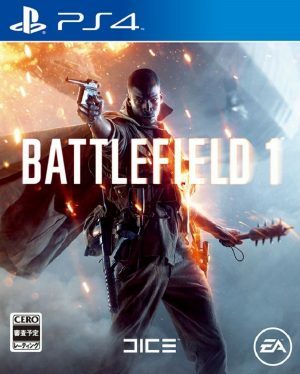 With an improved visuals and FPS mechanics, Battlefield 1 has truly crafted an excellent new entry in the long running Battlefield franchise. Enter Battlefield 1 to witness a truly remarkable take of what brave souls had to endure during World War I. The Medal of Honor series has always wowed us with expertly handled story narrative and rich use of both fictional and non-fiction themes. That’s why we knew we had to include Battlefield 1 on our 6 Games Like Medal of Honor list. Developer EA DICE clearly wanted to craft a rich and deeply improved single player story and we really were blown away. Each of the various stories feels real and creates an immersion we don’t get too often in FPS titles. Then there is multiplayer which trust us folks, it’s still as impressive as ever but with new tweaks and improvements that breathe a new soul into Battlefield’s already impressive multiplayer world. Fan or newcomer to the Battlefield games, we highly advise picking up Battlefield 1 if you want an experience that will stun you truly. 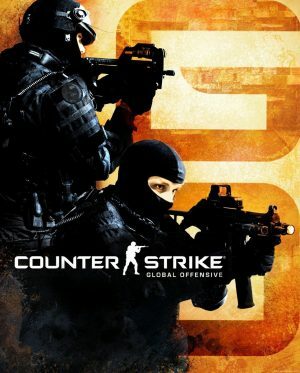 Counter-Strike: Global Offensive is an online multiplayer focused FPS title. Players will be thrown into a various game modes with the means of taking down their opponents and or winning set objectives. Each game starts by splitting players into two teams the terrorists and anti-terrorists and from there players must choose their loadout. Pick your weapons and armor wisely and head into combat locked and loaded for an all-out battle. Get ready to put your FPS skills to the ultimate test in Counter-Strike: Global Offensive. While Counter-Strike Global Offensive—or simply Counter-Strike: GO—may not focus on a rich story or narrative, the epic gameplay reminds us of the visceral combat found in the Medal of Honor series. Players will need to rely on quick thinking and twitch like reflexes when an opponent’s ends up in your sights. Also very similar to Medal of Honor is how each gun feels in game and how clearly developer Valve aimed to deliver a title that made sure to feel as real as an FPS game can get. With a huge active community and plenty of game modes to enjoy, Counter-Strike: GO is fun title for those who love a great multiplayer experience. Now get going and download Counter-Strike: GO so you can see why this title is still so relevant 5 years after release. 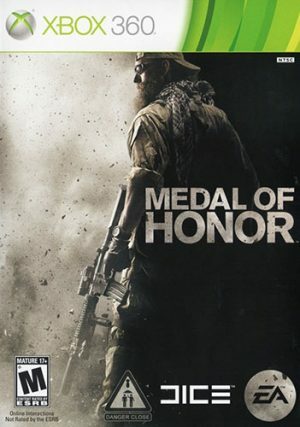 Any Games Like Medal of Honor ? The ARMA series returns to excellent for in ARMA 3 by developer Bohemia Interactive. 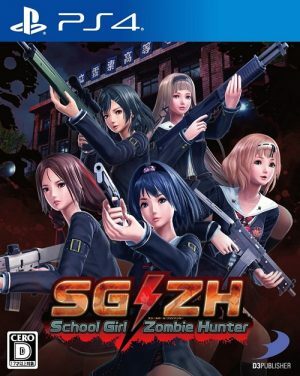 Once more players are thrown into a realistic landscape filled with tactical gameplay. Despite the future setting, ARMA 3 harkens to the realism found in the Medal of Honor titles with impressive visuals and real to life means of warfare. 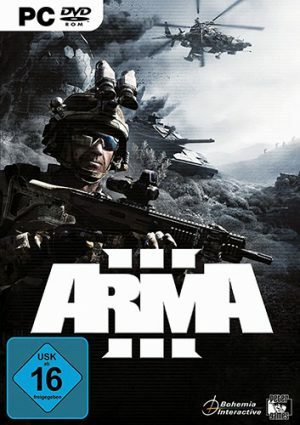 With several story episodes and a huge multiplayer that has tons of DLC and updates, ARMA 3 is a gigantic military title. We here at Honey’s Anime fully recommend checking out ARMA 3 is you’re looking for a deep and fulfilling military gaming title. Homefront takes place in an alternative future of the United States. In 2010, North Korea and other global powers began having high tensions between one another and it only escalated in 2013 after North Korea and South Korea joined together upon the death of Kim Jong-il. Now known as the GKR—Greater Korean Republic—they have become a new superpower in the world, especially when various world events cause various power declines such as increase Gas prices and social unrest in the USA. Then in 2025 The United States of America is attacked by the GKR with their new allies and all too powerful army. Two years have passed since the start of the losing war for America and now it’s up to resistances all over the United States to ban together and hope to fight back the GKR. Homefront is what we here at Honey’s Anime consider an all too amazing FPS title. Not only is the story of Homefront incredible—it also has a very impressive novel accompaniment—but the FPS mechanics are solid. 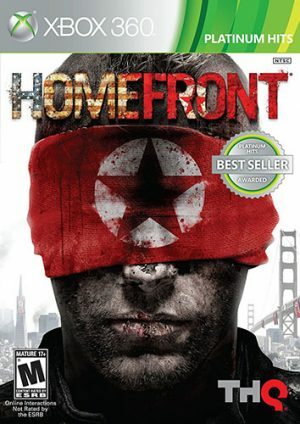 The single player was incredible and Homefront did have a very deep multiplayer element as well. However, since THQ has been bought out several years ago the multiplayer of Homefront has been shut down. However, honestly for us here at Honey’s Anime the single player was what made Homefront so great because we loved the story that felt like watching a playable movie. You can pick Homefront for a really reasonable price—since it’s now 6 years old—meaning there is no excuse for not trying out Homefront if you love the Medal of Honor series as much as we do. American Marine Private C. Miller has been captured and watches in horror as his comrades are killed in front of him. Just as C. Miller is about to face a similar fate he is rescued by two allies who save him from his almost deadly fate. 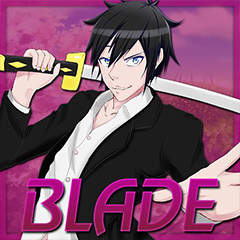 Now alongside a new squad, C. Miller will need to arm up and help take down the Japanese Army before it’s too late. C. Miller may have survived one fight but he’s about to be thrown into another in Call of Duty: World at War. Our 6 Games Like Medal of Honor list ends on Call of Duty: World at War. Not only does Call of Duty: World at War capture the World War II element just as well as Medal of Honor but it focuses on the Pacific War elements which isn’t seen in many gaming titles. 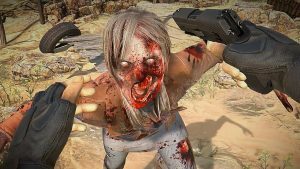 The main campaign can be played either in single player mode or with friends in co-op which is always a much appreciated addition to any FPS game. Then there’s the multiplayer which once again blew us away with the usual modes from the Call of Duty series that we’ve come to know and love. Call of Duty: World at War feels great and looks incredible which is why some fans of the Call of Duty franchise still consider Call of Duty: World at War as the best of the franchise even after several more installments in the series that would follow. 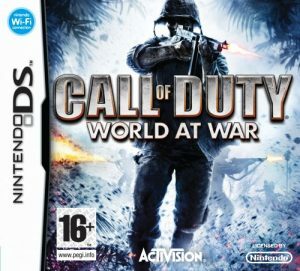 Seriously folks, we can’t recommend Call of Duty: World at War enough to anyone who loves Medal of Honor or just wants a FPS game that’s extremely fun. The Medal of Honor series has unfortunately been quiet since the last title being Medal of Honor: Warfighter released in 2012. However, that doesn’t mean that the series has just simply died forever. The Medal of Honor titles have shown us what can be done to make amazing FPS titles by fusing great story with great FPS mechanics and not having either suffer from some form of inequality. That’s why we knew it was up to us at Honey’s Anime to keep this great series alive by showing titles that remind us of what made Medal of Honor so excellent. Now if you agree with us that this list is indeed incredible why not drop a comment below telling us how we did. As always if you love Honey’s Anime then we couldn’t find a better way of showing said love by coming back to our site routinely for more gaming articles such as this one.